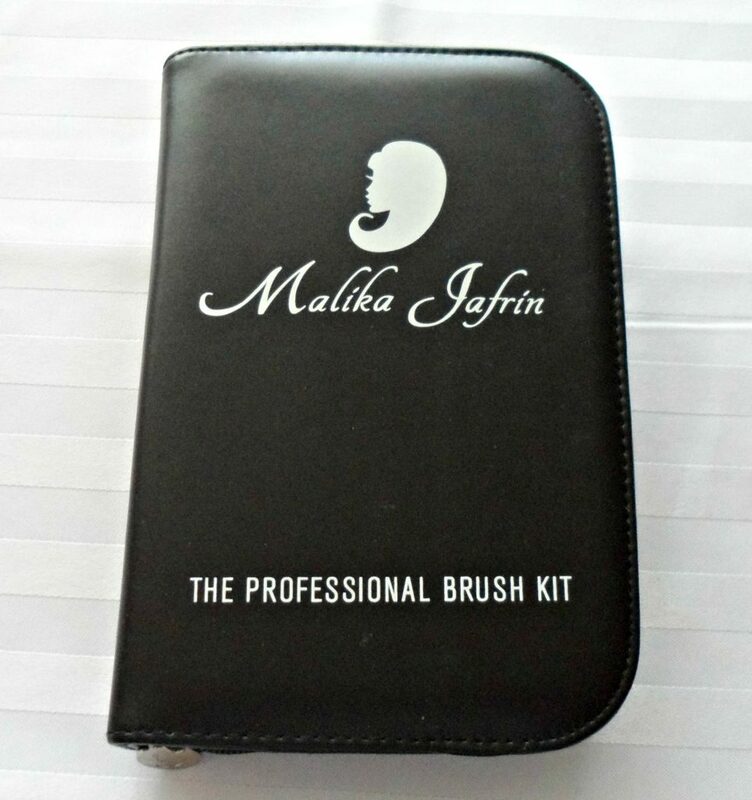 Home / Blog / Malika Jafrin Makeup Brush Set Review: Should You Buy This? 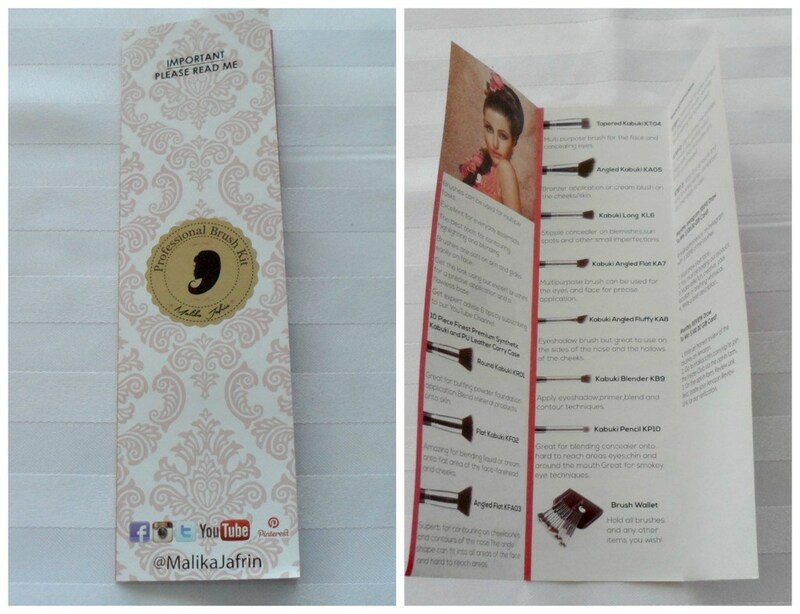 by LoraLeave a Comment on Malika Jafrin Makeup Brush Set Review: Should You Buy This? Today I am going to go over a brush set I recently had the pleasure of being selected to test out. So I will be giving you all of the details about it and what my thoughts are overall. 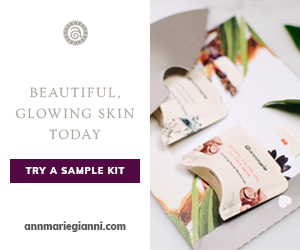 Just so that there is full disclosure – I was approached by the company to do a review and they sent me the set I am featuring in this post to try out. 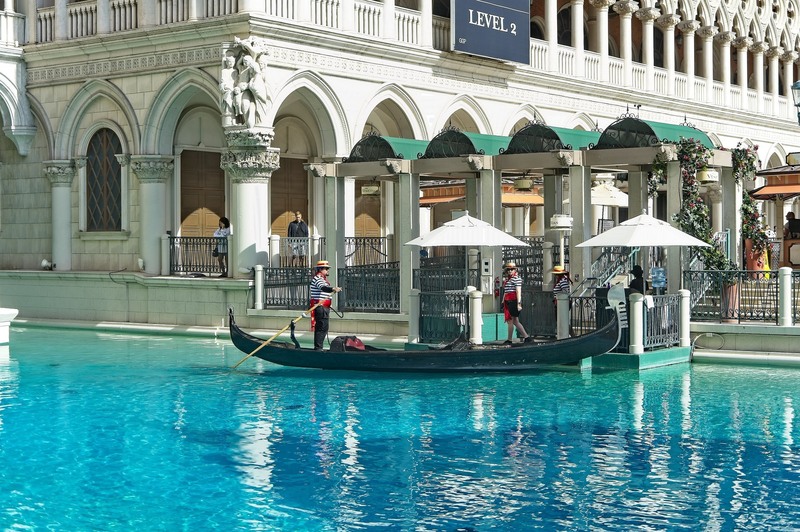 Some of the links contained in this post are affiliate links that I may earn a small advertising fee from at no extra cost to you. With that being said this in no way influences my personal opinion of this product. 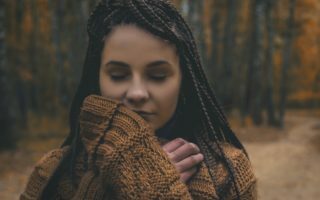 I have stated my honest review and opinions below. 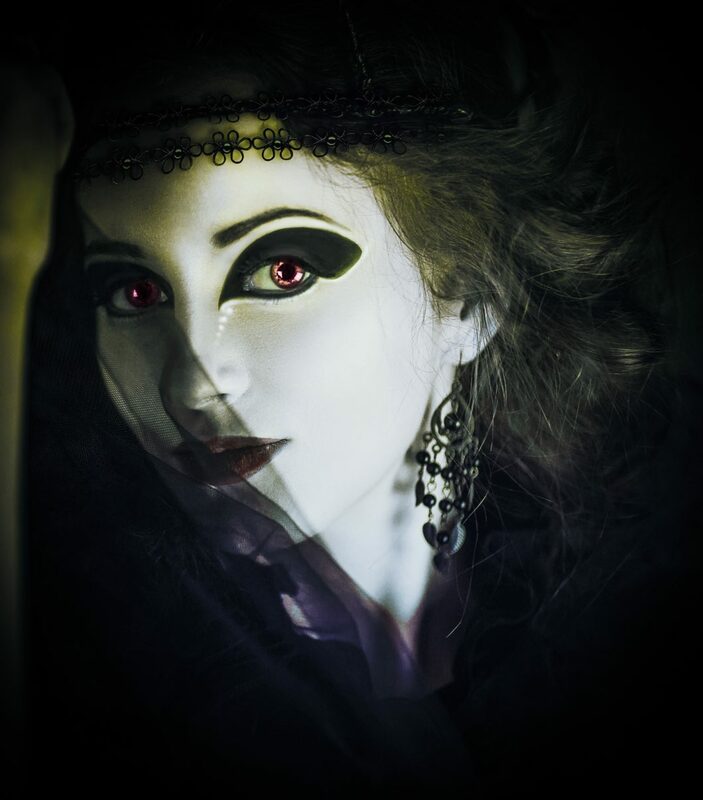 Malika is an international makeup artist who was based in London but now resides in Malaysia. She specializes in fashion and bridal makeup. She also teaches hair and makeup artistry. She is a wife and mother to an absolutely beautiful little girl. Not only is Malika a natural beauty herself her work is absolutely beautiful as well. You can find out more about Malika through her official website HERE. You can also follow her on Instagram and other social media platforms. A sleek high-quality black zippered case with the company logo on front. Case dimensions: closed it measures at approximately 6″ wide x 9″ high and open measure in at 12″ wide x 9″ high. 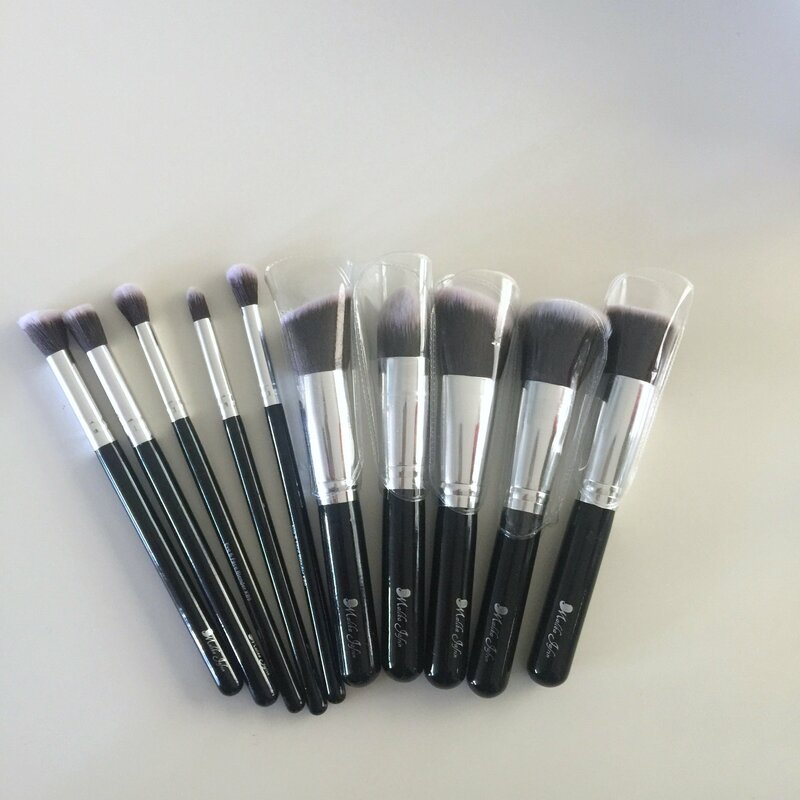 The brushes are made of premium high-quality synthetic fibers that are Vegan and 100% cruelty-free. Round Kabuki KR01 – for buffing powder, blush, bronzer and/or foundation. 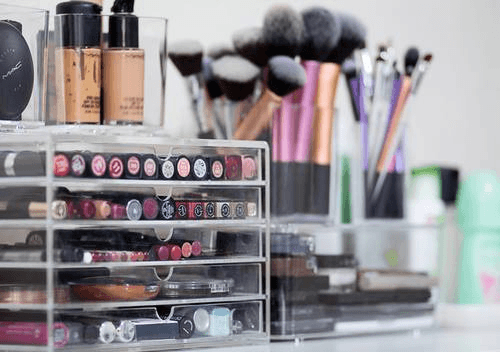 Flat Kabuki KF02 – best for blending liquid or cream foundations or bronzers. Angled Flat KFA03 – for contouring. This brush is great for adding a sculpted look to all areas of the face including the hard to reach areas. 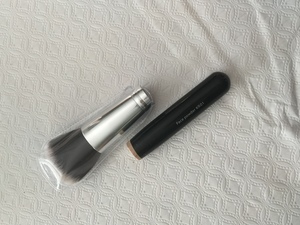 Tapered Kabuki KT04 – a multi-purpose concealer brush. Angled Kabuki KA05 – for controlled application of blush and/or bronzer. Kabuki Long KL6 – for stippling concealer and/or applying setting powder to specific areas of the face. Kabuki Angled Flat KA7 – a multi-purpose brush for eyes or face. Kabuki Angled Fluffy KA8 – great for creating contoured eye looks or for sculpting the sides of the nose and the hollows of the cheeks. Kabuki Blender KB9 – for blending out eyeshadows, primer, concealer or for contouring. Kabuki Pencil KP10 – for precise blending of concealer, eyeshadows, and eyeliners. A brush brochure guide with washing and care instructions is included. The case is more of a hard shell than soft and is made out of a nice faux-leather. It is a good size and has a nice sleek design. I am impressed with the quality of it. 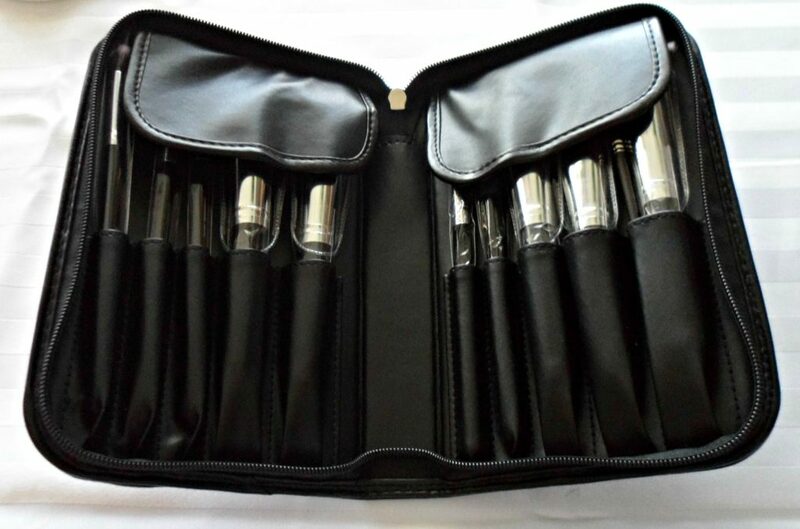 It is very sturdy and will keep the brushes well protected. I won’t have to worry about them being exposed to dust and dirt or being crushed if I toss them in a bag or suitcase. The zipper works very well – no sticking or catching. Each brush comes individually wrapped which is nice. 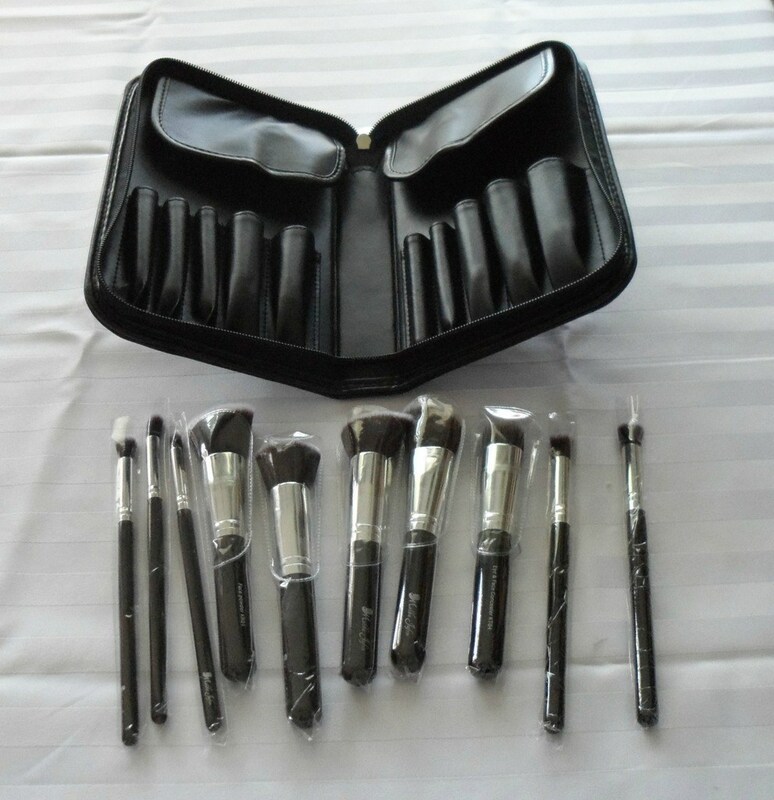 The large brushes come with additional clear plastic covers to help them keep their shape and for added protection. They all have really nice black wood handles with the name and number printed on the sides. The bristles are black with white tips. Some are flat and some are angled as mentioned above. I was really impressed with how soft these brushes are. Some of the other synthetic brush sets I have tried like the one from Eco Tools are quite scratchy and uncomfortable to use. They hold their shape really well too. 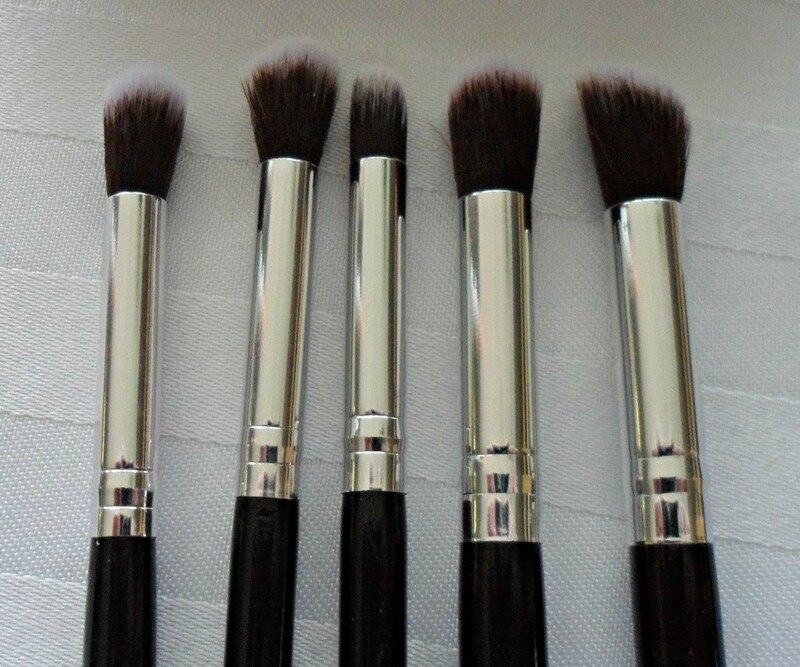 The face brushes are pictured below. I was most impressed with the Flat Kabuki KF02 brush for blending liquid foundation. Unfortunately, the foundation I used turned out to be the completely wrong shade for my skin so I will spare you by not posting a picture of that. I don’t want to scare anyone away. Haha. As soon as I find a better shade match I will post a picture on my Instagram. But anyways back to the brush. As far as blending goes this brush was fantastic! It gave the most flawless seamless finish I have ever been able to achieve thus far. The concealer and blush brushes are really nice too. 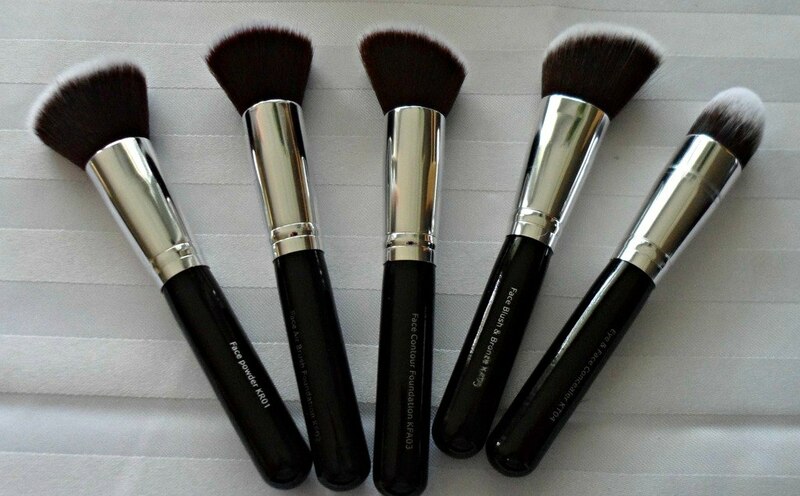 I tried them with both cream and powder-based products so that I could get a good idea of how these brushes perform. As I mentioned in my previous post on how to choose makeup brushes normally synthetic bristles are not the best at blending powder makeup. However, I was very pleasantly surprised to discover that these brushes work equally well with both. I don’t usually do a lot of fancy eye makeup looks but after using these brushes I just may get into it. 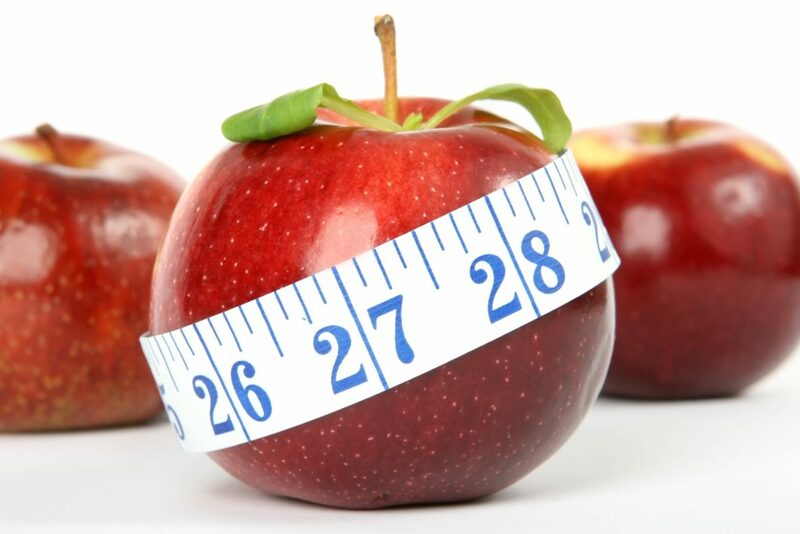 They are soft yet they hold their shape and make blending easy. After using the Round Kabuki KR01 brush once the handle came off. The glue just did not hold for whatever reason. After reading through the reviews on Amazon a few other customers have had this exact same issue with some of the brushes in the sets they purchased recently as well. I have been in touch with the company and they are working on fixing this ASAP. The good news is that this set does come with a lifetime guarantee and the company seems more than willing to fix any issues that come up. I will post an update on this as soon as I can. Overall, I really love this set. It meets all of my standards for performance and quality with the exception of the handle falling off that one brush. I don’t think I would use all of the brushes myself because I am more of a minimalist these days but if you are into doing a full face this set is definitely worth getting. For the most recent price on Amazon CLICK HERE. I actually have one extra set that I will be giving away. Check my Instagram for details on how you can win it!